Poet, writer, and descendant of Charles Darwin, Ruth Padel set out to visit a tropical jungle and wildlife sanctuary in India-- and her visit turned into a remarkable two-year journey through eleven countries in search of that most elusive and most beautiful animal: the tiger. Armed with her grandmother's opera glasses and Tunisian running shoes, she set off across Asia to ask the question: can the tiger be saved from extinction in the wild? Tigers are an "umbrella species", they need everything in the forest to work in tandem: they eat deer, the deer need vegetation, the vegetation has to be pollinated by birds, mammals, rodents and butterflies. If you save the tiger, you save everything else. Today, the 5,000 tigers that still survive in the wild live only in Asia and are scattered throughout 14 countries. Padel says that while tigers will never become extinct―they are too popular for that―they may disappear from the wild. There are as many tigers in cages in the US as there are surviving tigers in the wild. As she travels she meets the defenders of the wild―the heroic scientists, forest guards and conservationists at the frontline, fighting to save tigers and their forests from destruction in the places where poverty threatens to wipe out all wildlife. 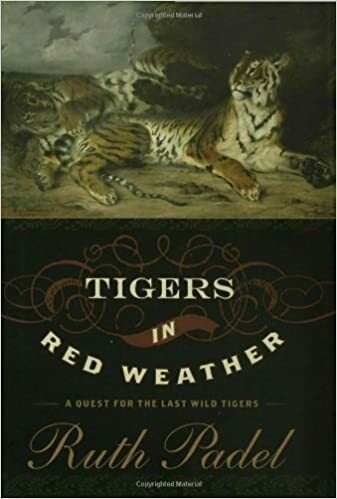 She also examines her fascination (both as a poet and as the great-great-granddaughter of Charles Darwin) with nature, wildness and survival and in the end, becomes a knowledgeable advocate for the tiger. The result is a beautiful blend of natural history, travel literature and memoir, and a searing, intimate portrait of an animal we have loved and feared almost to extinction.